Find out how to install and watch content on the FXNOW app. Browse or search for the FXNOW app. Select FXNOW to download and install the app. After the download, the app automatically starts, and you can browse through and view details about the available content. To start the FXNOW app later, go to apps, My Apps, and then FXNOW. 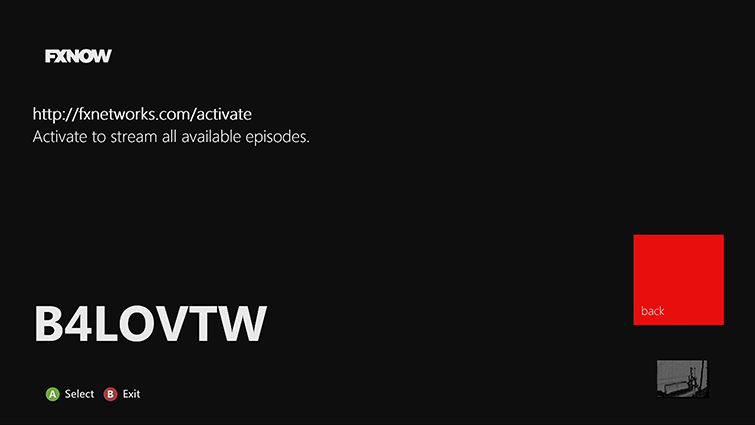 The first time you start the FXNOW app, you’ll see the “Activate Device” screen. Select Activate to begin. On the next screen, you’ll see an activation code. 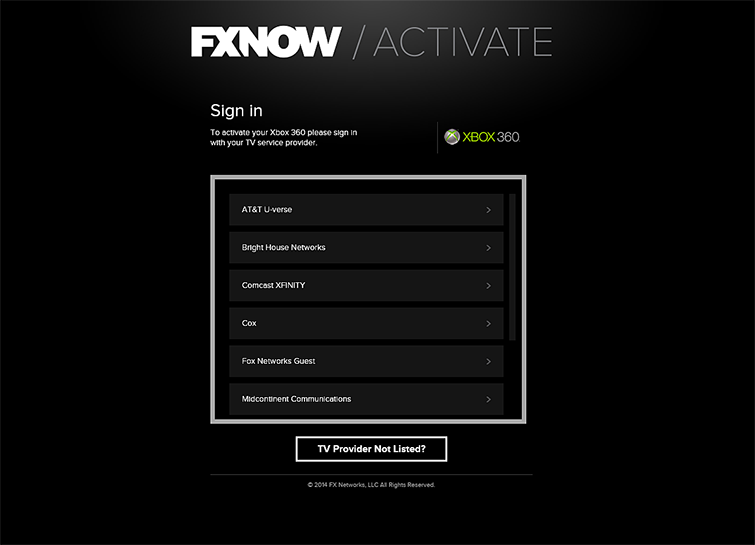 In a browser on an Internet-enabled device, go to fxnetworks.com/activate and enter the activation code from your Xbox 360. 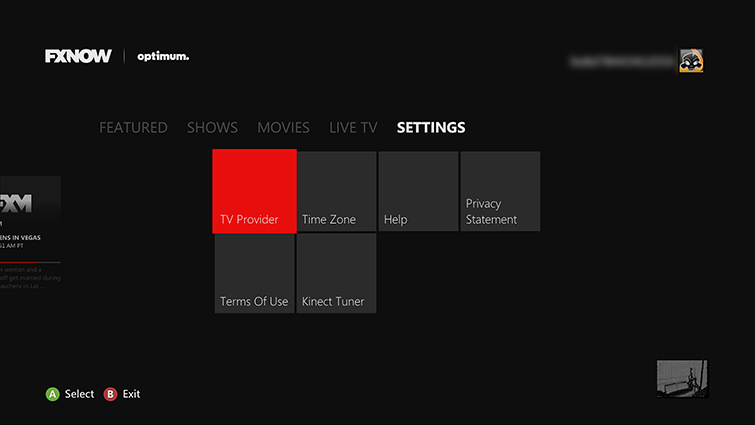 You’ll be prompted to choose your TV provider and then sign in with your TV provider account. Once you’ve signed in to your TV provider account, you’ll see a “Sign in completed” screen. On your Xbox 360, you’ll see a “Congratulations” screen. Select continue to start using FXNOW. To start the FXNOW app, go to apps, My Apps, and then select FXNOW. From the Featured hub, you can choose any of the content in the center to watch. You can also navigate to the Shows, Movies, or Live TV hubs. From the Live TV hub, you can access the FXNOW schedule and change your time zone. Choose something to watch and select Play. 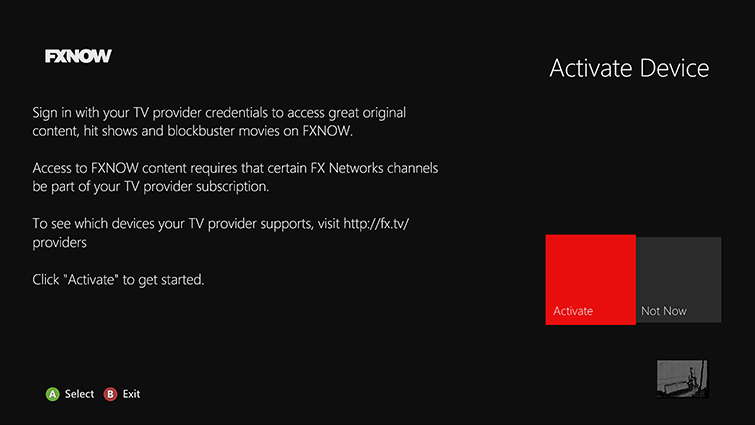 To un-associate your console from your FXNOW account, go to SETTINGS and select TV Provider. 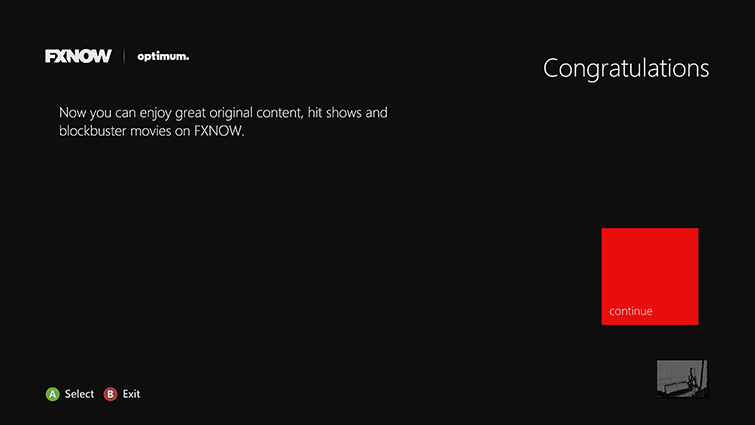 Follow the on-screen instructions to unlink your FXNOW account from your Xbox 360 console. 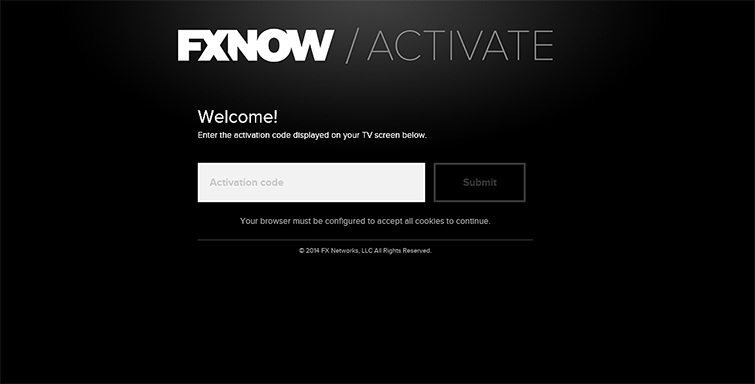 You can manage your FXNOW account from a browser on an Internet-enabled device by visiting fxnetworks.com/login and signing in with your FXNOW account information. 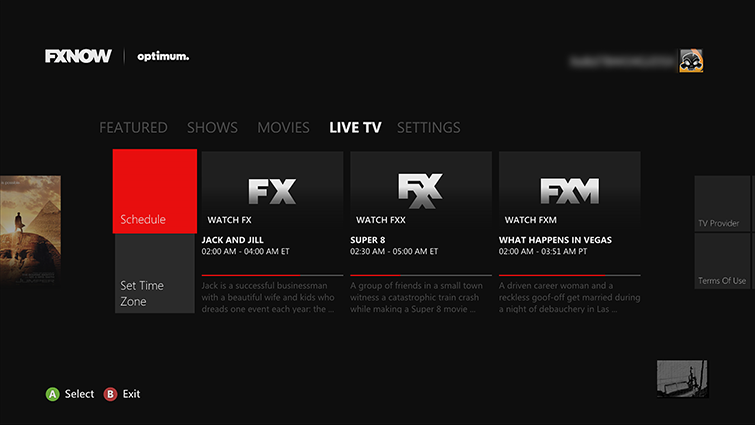 If you use Family Settings to control which movies and TV shows can be watched through Xbox Live on your console, the FXNOW app will follow those settings. For example, if you prohibit viewing of R-rated movies or TV-MA-rated TV shows, those programs will be marked with a “restricted” icon in the FXNOW app. To play a restricted item, an adult must enter the Family Settings pass code. 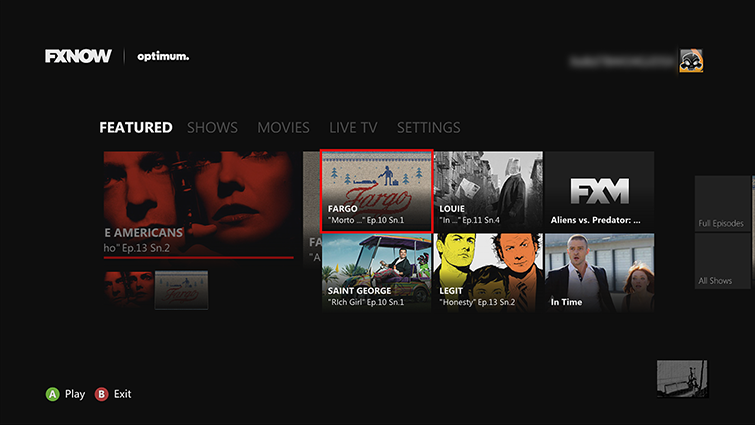 ¿Quieres contactar con el Soporte técnico con referencia al problema "Set up and watch the FXNOW app on Xbox 360" acerca del que estabas leyendo o con referencia a otro problema?